There is a school bus driver that needs to be fired. 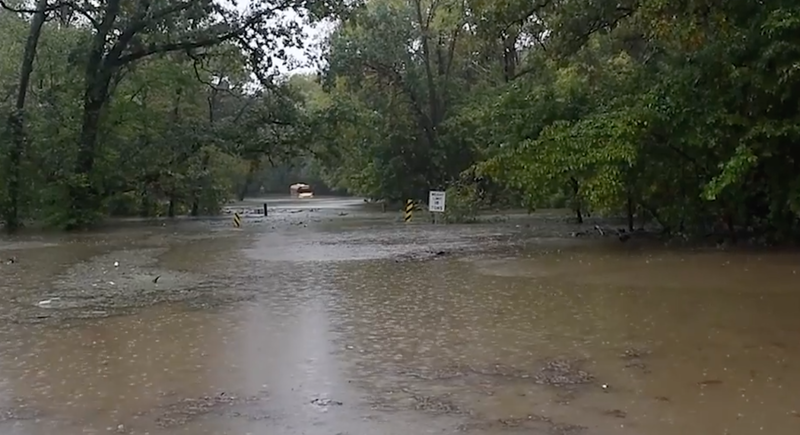 Twenty Raytown South high school students needed to be rescued when the driver drove into these floodwaters. While it is bad enough to do it in your own car, it is simply incomprehensible to me why someone would do that with young people on board.